"Sampath Speaking" - the thoughts of an Insurer from Thiruvallikkeni: Oryza sativa ~ “நெல் ஜெயராமன்” ~ அவர்களுக்கு அஞ்சலி .. ..
Oryza sativa ~ “நெல் ஜெயராமன்” ~ அவர்களுக்கு அஞ்சலி .. ..
Oryza sativa is the plant species most commonly referred to in English as rice. “நெல் ஜெயராமன்” ~ அவர்களுக்கு அஞ்சலி .. ..
Pic credit : Karthick Ramamoorthy. அழிவின் விளிம்பில் இருந்த தமிழர்களின் 174 வகை பாரம்பரிய நெல் ரகங்களை மீட்கும் பணியில் தன்னை அர்ப்பணித்துக்கொண்டு, அதில் வெற்றியும் பெற்றவர் நெல் ஜெயராமன். திருவாரூர் மாவட்டம் திருத்துறைப்பூண்டியை சேர்ந்த இவர், ‘நமது நெல்லை காப்போம்’ என்ற இயக்கம் வாயிலாக, பாரம்பரிய முறையிலான விவசாயத்தின் அவசியம் குறித்த விழிப்புணர்வை ஏற்படுத்தி வந்தார். …… what should strike us immediately is our staple food (for us South Indians) ……… the RICE…. ‘Oryza sativa’ is commonly known as Asian rice. Oryza sativa is the cereal with the smallest genome, consisting of just 430Mb across 12 chromosomes. It is renowned for being easy to genetically modify, and is a model organism for cereal biology. Internationally there reportedly are more than 40000 varieties of rice and some of the Indian varieties would include : Basmati, Champaa, Kamini, Gobindo bhog, Ponni, Molakolukulu, Patna …..
To us Ponni and IR8 readily comes to mind. ….. Ponni Rice is a variety of rice developed by Tamil Nadu Agricultural University in 1986. It is widely cultivated in TamilNadu. The name literally means 'like gold'. Since River Cauvery is also called 'Ponni' in Tamil literature there is a notion that the rice could have been named after the river. Decades earlier in 1961 when India was on the brink of mass famine, a new semi-dwarf variety was introduced and much credit for that goes to the then Agriculture Minister Sri C Subramaniam. It was stated that this variety would yield more per hectare and was dubbed as miracle rice. In a Tamil comedy, Vadivelu alongwith his group would go to a rice shop and ask for sample (would collect handsome quantity that way) ~ in another, the merchant would ask what variety he wants, Vadivelu would reel out few names and engaging him thus, his group would steal the weighing machine and other things. When was the last time, you went to shop and bought rice ? – do you know how much a bag of rice costs ?? 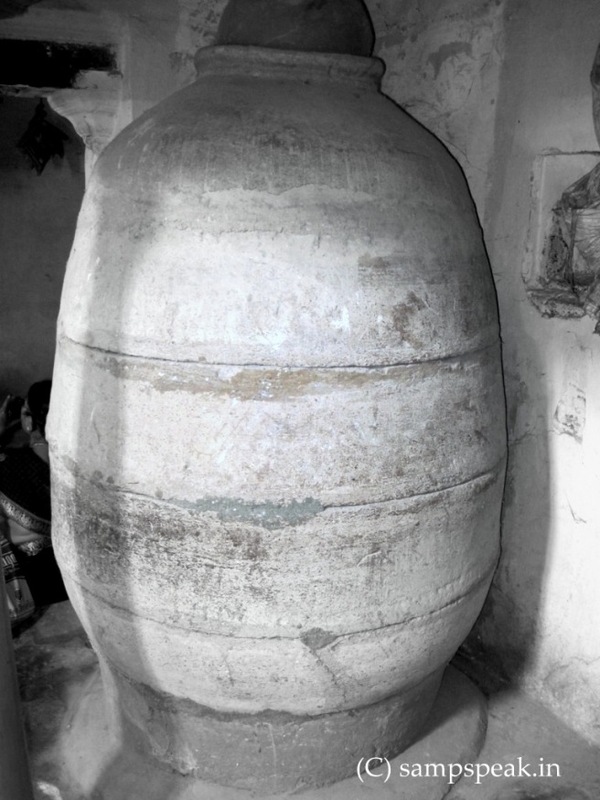 - for the informed, the varieties in Tamil Nadu include : Aaduthurai (ADT); Samba, Basmati tukda, Chengalpattu sirumani, Chithiraikar, Samba masuri, IR 8, IR 20, kaividhai samba, kamban, kauni nel, karunguruvai, kichili samba, kudhiraivaal samba, mansoori, mappillai samba, nallamani samba, periyavari, Pisini, Ponni, Puzhuthikkal, seeraga samba, sivappu chithiraikar, sornavari, thangam samba, vellai kuruvai and more … .. Whether you know rice varieties or not, MGR would need no introduction. Often it is said that almost 3 decades since death, still there are some villagers who tend to believe that he is still alive. He was very popular as a cine artiste and later becoming the Chief Minister of Tamil Nadu. His birth centenary is being celebrated. 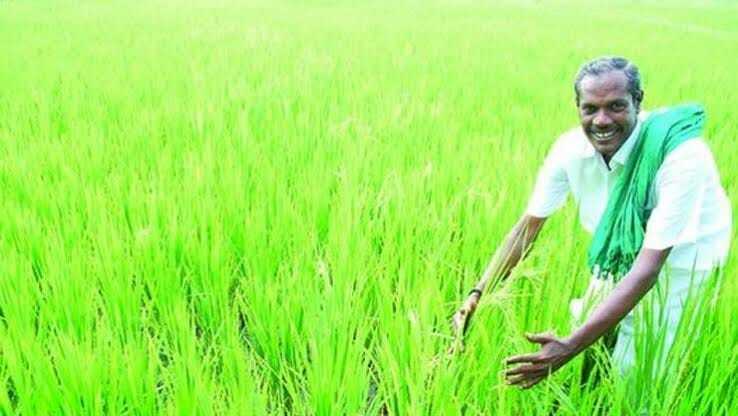 TN Chief minister Edappadi K Palaniswami recently released a new rice variety 'MGR 100', developed by the Tamil Nadu Agriculture University (TNAU). The new variety which is the rechristened nomenclature of CO 52, would give high yield, superior grain quality and pest and disease resistance, officials said. This new variety was on the sequel of TNAU's first hybrid rice, MGR (COR H1) released in 1994. This new variety would be a good alternate for BPT 5204. According to officials, the rice would mature in 130 to 135 days. Paddy storage in a village ..
Naming rice varieties after CMs is nothing new. In 1970, it brought out Karuna (CO 33) by crossing IR 8 and ADT 27 which was a short duration paddy variety, while in 1993 it had come out with JJ 92 (ADT 41) that is a white aromatic rice and a mutant of Basmati. Incidentally, all these varieties named after leaders are not used for cultivation now. In 2012, in one of my posts I had mentioned : R Jayaraman hailing from a small village called Adirangam in Kattimadu block, Thiruthuraipoondi in Tiruvarur being conferred the ‘best organic farmer award’. It was good to read that several farmers and associations around Thanjavur, Thiruvarur, and Nagappattinam vouched him to be the best choice for providing information on ancient paddy seeds. Poor financial situation at home compelled him to discontinue studies and take up some odd jobs. He learnt on his own and now possesses more informatkon on climate variations and crop patterns. Now comes the sad news that Nel Jayaraman is no more. The farmer and consumer activist, who dedicated his life for collecting, reviving and preserving traditional paddy varieties, died in a private hospital recently after a long battle with cancer. He was so popular that the word Nel (paddy) became part of his name. Adirangam, his native in Tiruvarur district is a famous vaishnavite pilgrimage centre. In recent times it turned into a hub of paddy festival visited by a lot of farmers every year. He practised organic farming. Jayaraman, closely associated with CREATE, a consumer organisation, organised paddy festival since 2005 and distributed 2 kg of traditional paddy seeds to farmers and they had to return 4 kg after harvest. “His enthusiasm earned the goodwill of an NRI from his village and he donated nine acres land for crop cultivation and for organising training programmes,” said S. Ranganathan, general secretary, Cauvery Delta Farmers Association. Mr. Ranganathan said traditional paddies would grow very tall and the haystack was used to cover the roof of huts as they had the capacity to arrest leak during rainy season. Jayaraman, who coordinated “Save Our Rice” campaign, began with distribution of 15 paddy varieties and increased to 64 varieties. He was able to collect seeds of over 170 paddy varieties and also organised training programme for cultivating them. Though Cauvery Delta region is known as the rice bowl of Tamil Nadu, natural calamities wrecked a havoc year after year. Encouraged by later natural agronomist Nammalvar, he collected information about the diversity of traditional paddy in coastal areas as they have potential to withstand climate variations. According to his website, some of the important varieties he maintained were Kattuyanam (best suited for flood condition), Poongkar (suited for saline soil), Karunguruvai (best for making biriyani), Kuzhiyadichan (for alkaline soil), Kudavaalai, Gauvuni, Mappillai Samba (for high energy), Samba Mosanam (best suited for making flat rice), Arupatham Kuruvai (short duration variety (60 days). The website also gives details about traditional varieties, their special characters and land suitable for their cultivation. All the varieties can be easily cultivated under the SRI (System of Rice Intensification) method. He received the best organic farmer award of Tamil Nadu government in 2011 and invited to the International Rice Research Institute, Philippines. After he was diagnosed with cancer, actor Sivakarthikeyan admitted him in a private hospital and agreed to take care of the educational expense of his son. Tamil Nadu Chief Minister Edappadi K. Palaniswami visited him in the hospital and offered ₹5 lakh.